We found 1 verified Art Of Tea promo code for April, 2019. 5% Off Get 5% Off Any Purchase !!! Sign up and we’ll let you know about future Art Of Tea offers. 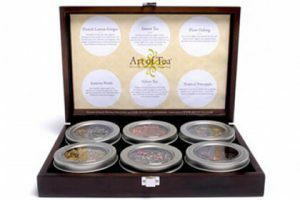 Art Of Tea subscription boxes are designed for everyone who appreciates the sophisticated flavors of organic and high-quality teas. The company’s offer includes numerous tea varieties, such as white, black, green, pu-erh, and oolong, available within 6 tea selections. Discover the full range of options at your disposal in our Art Of Tea review.